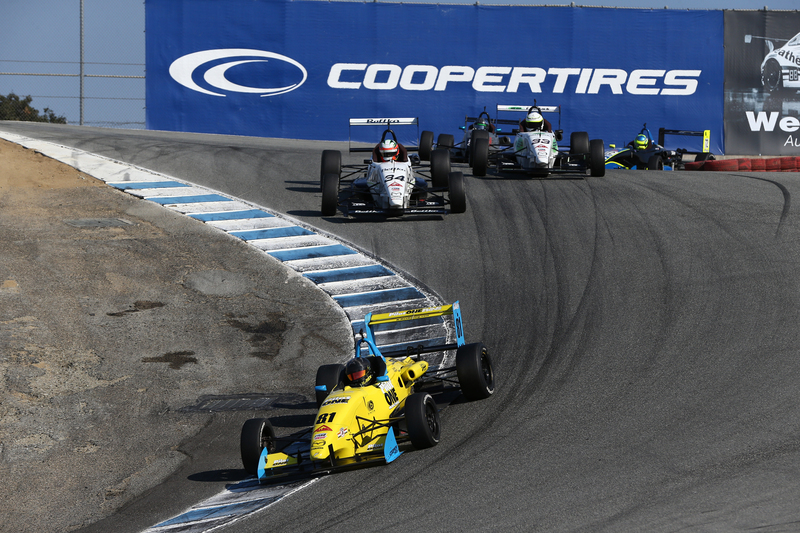 K-Rex debuted in the Cooper Tires USF2000 Championship Powered by Mazda at Mazda Raceway Laguna Seca, as the Mazda Road to Indy Presented by Cooper Tires ladder system championship concluded its 2016 season in Monterey, California on September 9-11. In his debut USF 2000 race weekend 14 year old K-Rex Frederick worked toward learning the famous Laguna Seca raceway, learning to race the USF 2000 car, to familiarize himself with the aero package and downforce in traffic, and race with the seasoned racers of USF 2000. K-Rex is thankful to both the SCCA Pro Racing and Mazda Road to Indy series for allowing Kaylen to participate in the weekend races. SCCA Pro President Mike Collins stopped by to meet Kaylen and explain that many devoted series officials and companies spent much time and effort evaluating Kaylen’s race qualifications and experience prior to providing his MRTI license. 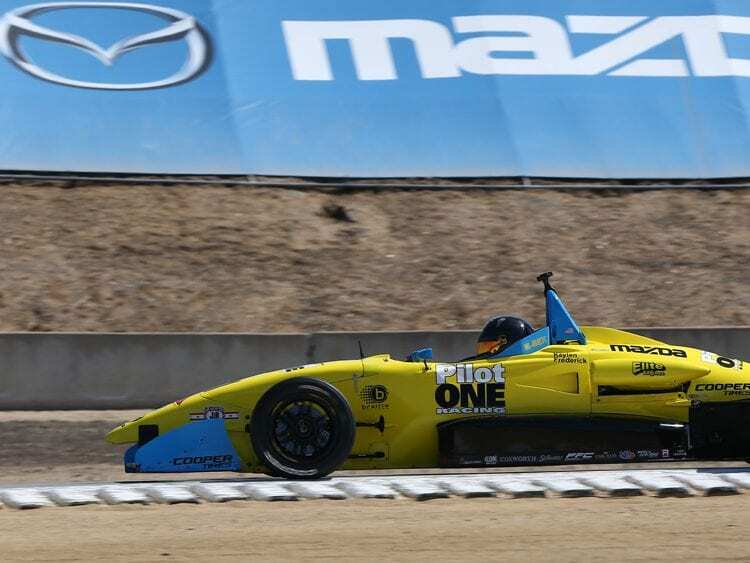 He also commented that it was a testament to Kaylen’s maturity level that he was licensed with MRTI, and that Kaylen is certainly the youngest driver to race in the history of the series. Qualifying 12th out of 18 with a lap time of 1:27.732, Kaylen made a strong statement given he had only had 4 previous days of testing in the USF 2000 car. Besting several veterans of the 2016 series and .1 seconds behind his teammate ‘Rookie of the Year’ and .2 seconds behind a Mid-Ohio podium finisher, Kaylen made progress with track familiarity and car setup. K-Rex started Race 1 in 12th position and finished 13th, and started Race 2 in 13th Position, finishing 13th. 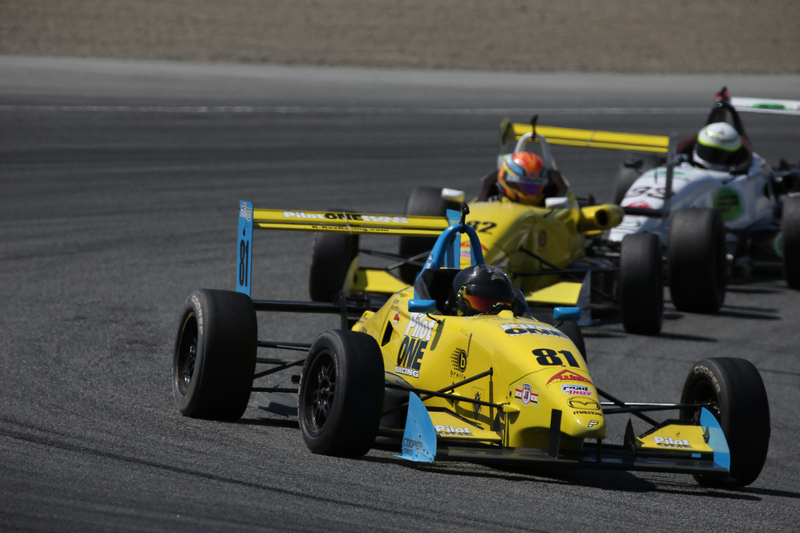 Amidst passes and being passed, including a gutsy blitz pass going into the famous Corkscrew at Laguna’s Turn 8, Kaylen focused on bettering skills and maturing his USF 2000 race craft. K-Rex didn’t let his youth or experience define his weekend. 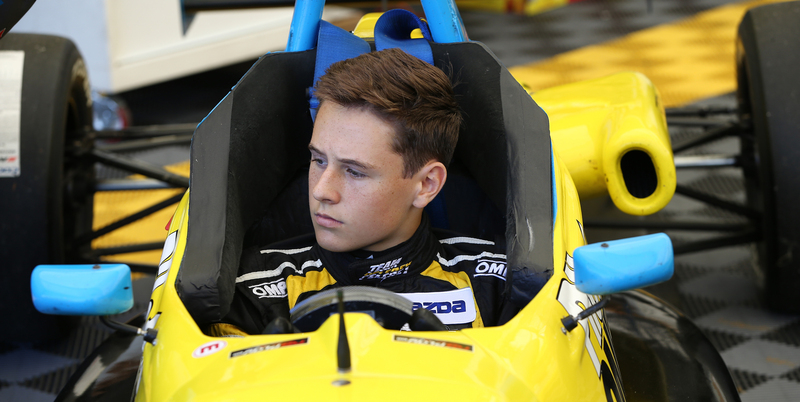 The 14 year-old’s natural speed and flair led to a very impressive Mazda Road to Indy debut at Mazda Raceway Laguna. Up next, the F1600 star will return to Virginia International Raceway for the season Finale, October 1 & 2, and will also attend the official Chris Griffiths Memorial Road to Indy Test at the Indianapolis Grand Prix Circuit on October 9th & 10th.